Knife crime is at its highest levels since records began in the UK, Getintothis editor Peter Guy chats to Liverpool campaigner Almo Munroe to hear how the music community is helping the cause. Knife crime in the UK is at an all-time high. Children as young as nine are being caught carrying knives with teenagers regularly the victims as parts of the UK is turned into, as one senior police officer said, the “Wild West” by violent attacks. Nick Hunt, head of the Home Office’s serious violence unit, said knife possession had risen by a fifth in a year, and knife crime overall by 12%. On Merseyside teenagers Daniel Gee-Jamieson, Brandon Regan, Eddie O’Rourke and 20-year-old Fatah Warsame have all died as a result of being stabbed in 2018 so far. In October 2017, Sam Cook was murdered while celebrating his 21st birthday. He was stabbed in the heart by 23-year-old Carl Madigan in Liverpool city centre bar Empire. As recently as October 30, a man was stabbed in Liverpool city centre club Heebie Jeebies. The victim, 24, was stabbed in the face at 3.30am. Just days ago, two 14-year-olds were arrested after a teenager was stabbed in the back in Croxteth Park. Merseyside Police recorded 945 serious crimes involving knives during the last financial year. That figure is up 18% on the previous year, which saw 801 knife crimes recorded, and is the highest total on record for figures going back to 2008/09. Convictions for knife-related offences were also up. 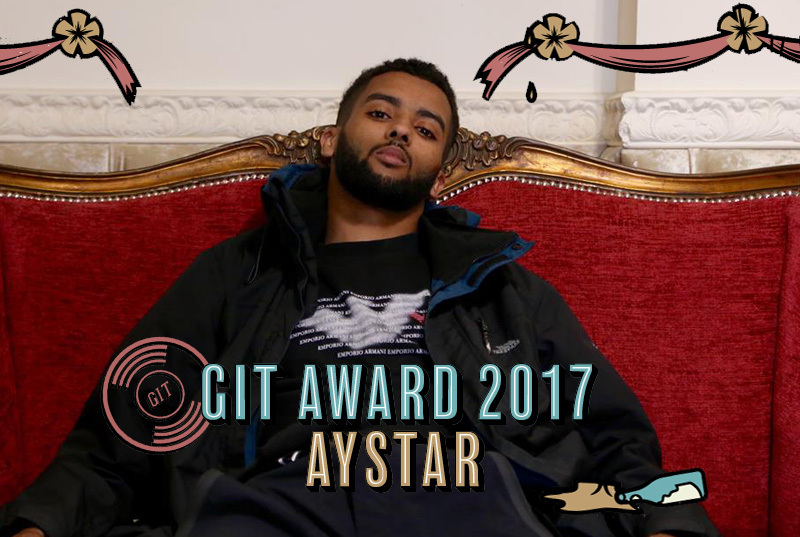 Hoping to help make a difference on Merseyside is hip hop lover and supporter of rising new MCs in Liverpool Alan ‘Almo’ Munroe. 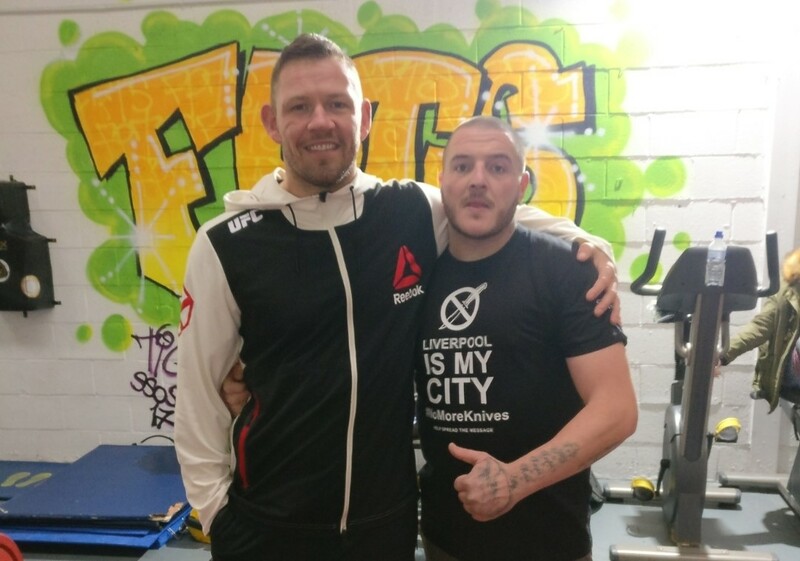 The 34-year-old, father of six girls, is playing a key part in helping to crack down on violence on Liverpool’s streets while consistently pushing the #NoMoreKnives campaign on social media and in person. Almo, along with the #NoMoreKnives campaign founders, Paul Bentley and John Hughes, believe that knife crime will only be stopped by speaking directly with youngsters, involving prominent figures within the community or creative arts and coming down tougher on those who carry or use weapons. Getintothis caught up with Almo, a man bursting with genuine passion for this campaign, to see how we can all pull together to beat knife crime together. Getintothis: The #NoMoreKnives campaign – what’s it all about? 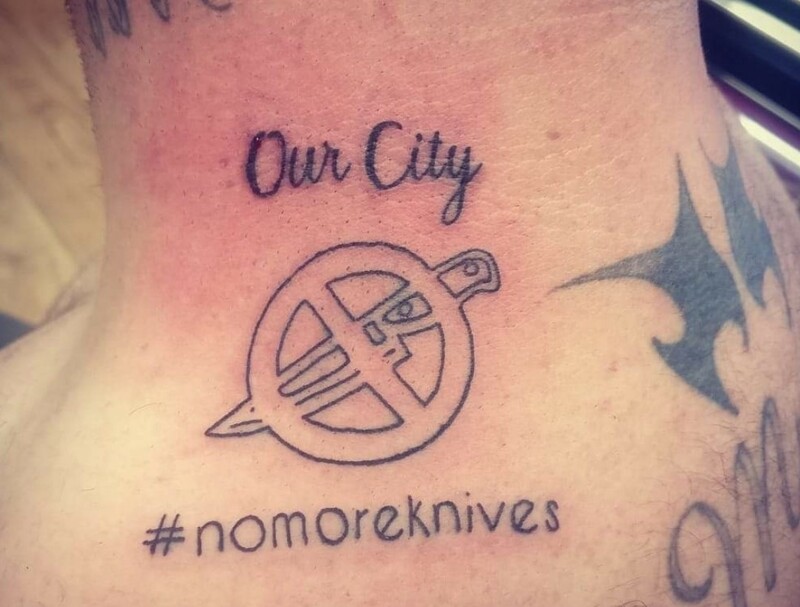 Almo Munroe: The #NoMoreKnives campaign was started by Paul Bentley [a fitness instructor, MMA fighter and a campaigner of #NoMoreKnives]and John Hughes [head of the city’s Pub Watch]. It is about raising awareness for a huge problem we have in our city and progressively as one city changing the way our youth see themselves, and others, and potentially saving a life – or more than one – by changing the way our younger generations go about carrying knives and other weapons on our streets. I believe we can only beat knife crime by being united as one city. Getintothis: Knives and weapons are on the rise in Liverpool – and indeed across the country – why do you think that is? Almo Munroe: I believe there are a lot of different reasons for knives and other weapons being on our streets. Getintothis: Sure thing. It is a sad situation. Have you or anyone you know been affected by knife crime? Almo Munroe: I’ve been around knife crime incidents as far back as 15-18 years ago. I have seen the ripple off knife crime rip through family’s of my friends I grew up with. A very close friend of mine John Lamont who I grew up with was murdered by his then partner in a restaurant in Huyton when I was 16. I have sadly known victims of knife crime and their families for many years. Danny Fox, the door lad from St Helens, who was killed while in work – the list goes on… There are sadly too many names to mention. 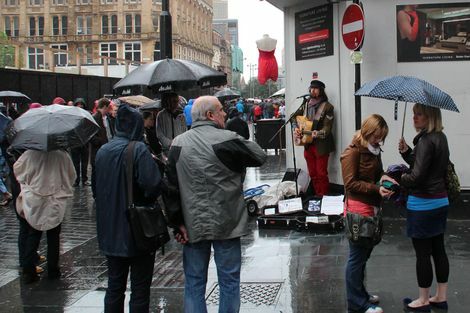 Getintothis: Who’s backed the campaign – and are there any Merseyside musicians or bands? Almo Munroe: At the start of the campaign they were plenty of DJs and artists all supporting the campaign. Big thanks to Mervyn Lynch aka DJ2Kind who started a wave of video messages that were sent to the campaign. There is a list of people who sent a video to support the campaign – and this interview isn’t long enough to thank them all. However, I understand that people are busy in their own lane and we have to respect that. I just hope that when there’s time, the guys I have supported from the urban music scene can pop up and join us in this battle as I believe, they more than anyone, have the key to getting through to most of the younger generations who clearly look up to and respect them. Getintothis: There’s been a few high profile incidents involving knife crime in clubs, bars and even music venues in Liverpool and around the country – what’s the best way to prevent it do you think? Almo Munroe: Yes, you are right there has been a lot of high profile cases involving knives in our city centre and bars. John Hughes, who runs the city’s pub watch, is in the process of putting measures into place to make the city centre a much safer and more pleasant place to be. Also, Paul Bentley, along with John are moving the campaign to higher levels by dealing with certain people, officials shall we say, to make not just the bars and clubs but the whole city a safer place. These guys in my opinion are the unsung heroes of the city, but it’s vital that people never lose focus of what this campaign is about and what we want to achieve – it’s not our campaign it’s the city’s. It’s not just about one person, it’s about every person. It’s about mine, yours and everyone else’s children. After all they are the ones who will grow up in this city and the rest of the country when we’re long gone. I believe it’s our duty as parents to make it right for them. We stand in solidarity with Sam Cooks family and friends and back the campaign #NoMoreKnives. Getintothis: Finally, on a more positive note – tell us a few things about Liverpool music and culture which you’re enjoying right now? Almo Munroe: Yes, on a lighter note, I have always loved the music from our city – be it punk, rock, urban, Liverpool is a fantastic city and the music is just one way of us being known globally – it brings us together. But me, personally, I am an urban geek. I love our local music scene – too many artists to mention them all but the likes of Beyond Average, Grime of the Earth, Aystar, Aydoe Soul, Jamie Broad, Ctwo, KOD, D-Boii, Macz, Local to Global, Felcon, Lyricsmith, Suspect and Beat Boy. That’s to name a few – these guys work and work and work at what they do and in my opinion don’t get enough credit for their work rate.